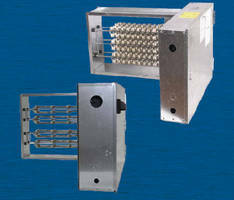 Model IDHE Electric Duct Heaters come with heavy gauge G60 construction. 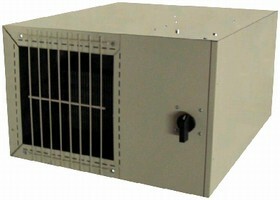 Electric Duct Heaters include fan interlock. 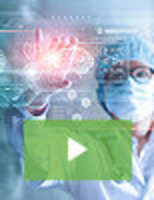 You Specify It-We Build It! 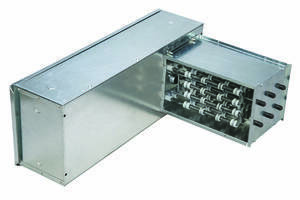 Plenum-Rated Heaters offer blower delay feature. Duct Heaters range from 6-480 kW. Series IDH utilizes heavy-duty incoloy heating elements, which allow air temperature up to 800Ã‚°F. Flange lengths range from 5 5/8-15 5/8 in. Heaters include stainless steel frame, potted terminals, and moisture resistant terminal housing. 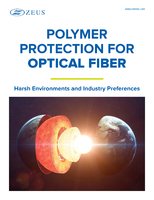 They are suited for applications where high temperature air is required, such as ovens, dryers, rotary gravure presses, and heat treating. 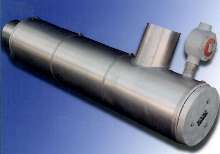 Duct Heaters suit OEM applications.